Emmanuel Sowicz plays Bourrée & Double, BWV 1002 by J.S. Bach (1685-1750) on a 2013 Matthias Damman guitar. This comes via his YouTube channel and recorded in 2018 at the Royal Academy of Music, London. 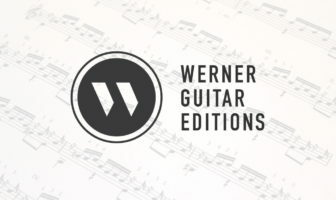 Sowicz is the recent 1st prize Winner of the London International Guitar Competition 2018. Nice, clean performance here with a crisp rhythmic feel and clear phrasing. You can read more about the recent London Competition here or read more about Sowicz here.